McAllan, I.A.W. 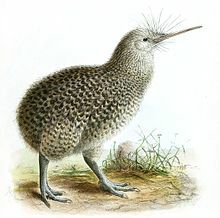 2004. Corrections to the original citations and type localities of some birds described by John Gould and recorded from New Zealand. Notornis 51(3): 125–130. Abstract with link to PDF of full article. Reference page. This page was last edited on 22 February 2019, at 03:52.